Lucy Porter is widely recognised as one of the UK's leading comediennes. She has performed at the Edinburgh Fringe, the Brighton Festival and many clubs around Britain and abroad. Her stand-up style is characterised as chatty and charming, with a focus on adult themes from a woman's point of view. She is also often seen on TV, and also provides voices for various BBC Radio 4 panel shows, including Quote... Unquote and The Personality Test. Lucy began her career as a journalist on The Big Issue in The North, but it was whilst working as a researcher for Granada Television on programmes such as The Mrs Merton Show that she first gravitated towards stand-up comedy. She subsequently became one of the team of writers for the satirical radio series Parsons And Naylor's Pull-Out Sections, appearing as a guest in many editions of its nine-series run on BBC Radio 2. She was also the script writer for two series of BBC Three's Anthea Turner: Perfect Housewife. 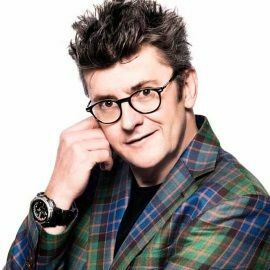 After appearing on Rob Brydon's panel show, Annually Retentive, a number of popular panel shows followed, including Have I Got News For You, Never Mind The Buzzocks and Mock The Week. Lucy's other TV credits include The Weakest Link (celebrity), Celebrity Mastermind and Pointless Celebrities. In addition, Lucy has taken her stand up tour around the world in locations such as Hong Kong, Bangkok, Paris and Las Vegas. Lucy is also the creator of Screaming With Laughter, an afternoon mother and baby comedy club that tours the country to play for parents with infants under a year old. In addition to being a successful comedian, Lucy has also benefitted from a career as an actress. One of her early notable roles in this respect was alongside Christian Slater in the stage version of One Flew Over The Cuckoo's Nest at the Edinburgh Fringe in 2004. She then went on to make regular appearances on Broken News as Claudia Van Sant, and also starred in The Powder Room alongside Julia Morris and Gina Yashere, which was also broadcast on BBC Radio 2. Lucy Porter's charm and distinctively perky personality make her a highly popular choice as an After-dinner Entertainer and Awards Host. To book her for your Event, contact us now for more information, using our online booking enquiry form or calling Prime Performers on 020 7251 8222. Lucy was lovely. All that we had hoped for - really bright and bubbly and very positive about the event which came over to the audience. 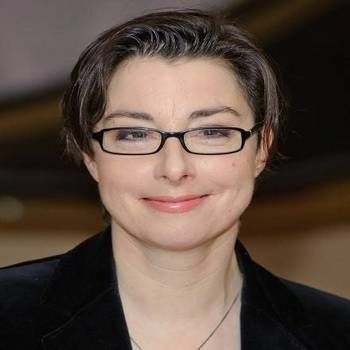 Former presenter of The Great British Bake Off, the hugely talented Sue Perkins has been a firm favourite on British television for nearly fifteen years.